Thank you for reading our nineteenth installment of our advent series, please check out our advent page for more articles in this series. Psalm 22:18 (ESV) they divide my garments among them, and for my clothing they cast lots. We carry on from where we left it yesterday in Psalm 22. David spoke about he could see his bones and now he laments that his garments were divided amongst his adversaries. Although he was speaking about things that would happen in his life, he was also referring to the coming messiah. Imagine the one who was there at creation with the Father, humbled himself to come to earth to be the sacrifice for all. 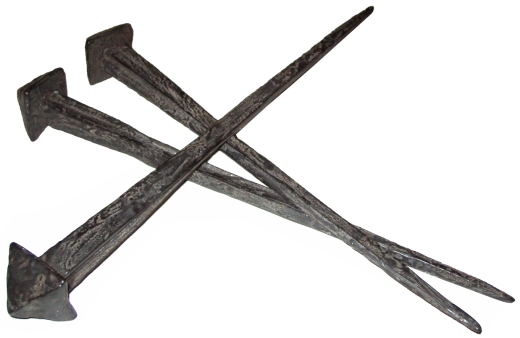 Nailed to a cross in the cruelest way devised to inflict as much pain and torture to an enemy of the state as possible. The Romans were not known for their hospitality to criminals. Jesus while going through pain that we can’t possibly imagine had the compassion on those who hated him enough to death to say (and mean it) “Father, forgive them, for they know not what they do.” That to me is mind blowing. He is looking down at the foot of the cross and he sees that the people below are gambling to get his clothes. We also read in the next two pieces of scripture (Matthew 27 & John 19) another two accounts of the literal fulfillment of this scripture. Matthew 27:32 (ESV) As they went out, they found a man of Cyrene, Simon by name. They compelled this man to carry his cross. 33 And when they came to a place called Golgotha (which means Place of a Skull), 34 they offered him wine to drink, mixed with gall, but when he tasted it, he would not drink it. 35 And when they had crucified him, they divided his garments among them by casting lots. 36 Then they sat down and kept watch over him there. 37 And over his head they put the charge against him, which read, “This is Jesus, the King of the Jews.” 38 Then two robbers were crucified with him, one on the right and one on the left. 39 And those who passed by derided him, wagging their heads 40 and saying, “You who would destroy the temple and rebuild it in three days, save yourself! If you are the Son of God, come down from the cross.” 41 So also the chief priests, with the scribes and elders, mocked him, saying, 42 “He saved others; he cannot save himself. He is the King of Israel; let him come down now from the cross, and we will believe in him. 43 He trusts in God; let God deliver him now, if he desires him. For he said, ‘I am the Son of God.’” 44 And the robbers who were crucified with him also reviled him in the same way. The messiah was stripped down to an almost naked state; the Romans spared nothing in humiliating those who they wished to punish. In Jesus case they had mocked him by dressing him in a scarlet robe, thrust a crown of thorns through his head, gave a thirsty dying man vinegar wine to drink and gave him a reed as a scepter. They were mocking both Jesus and the Jews at the same time. Even the notice above his head was written in mockery. The Jews asked Pilate to change what he wrote and he said “What I have written I have written”. Funnily it is the only time we see Pilate going against the Jewish religious leaders. John 19:23 (ESV) When the soldiers had crucified Jesus, they took his garments and divided them into four parts, one part for each soldier; also his tunic. But the tunic was seamless, woven in one piece from top to bottom, 24 so they said to one another, “Let us not tear it, but cast lots for it to see whose it shall be.” This was to fulfill the Scripture which says, “They divided my garments among them, and for my clothing they cast lots.” So the soldiers did these things, 25 but standing by the cross of Jesus were his mother and his mother’s sister, Mary the wife of Clopas, and Mary Magdalene. Jesus was in control of the situation, he was as much God as he was man and he surrendered to the baying hordes in order to fulfil prophecy, in order to be the substitute for our sins. He took the punishment that we deserved in order that we may be reconciled with the father and have an opportunity to spend eternity with our creator. Thank you for reading our eighteenth installment of our advent series, please check out our advent page for more articles in this series. Psalm 22:16 (ESV) For dogs encompass me; a company of evildoers encircles me; they have pierced my hands and feet 17 I may tell all my bones: they look and stare upon me. I find prophecy fascinating, several hundreds of years before the Roman Empire was even thinking of expanding beyond the borders of modern day Italy and before the idea of nailing criminals to a cross as a means of punishment and law and order was ever thought of David speaks in a prophetic fashion about the messiah being pierced with his hands and his feet. Crucifixion was by far the most barbaric and public way of displaying wrongdoers and keeping law and order. Often times these criminals would be put in a place outside of the city walls that could be seen from all parts of the city. Jesus was marched up to Calvary which was a hill that was visible to inhabitants of Jerusalem. This was no picnic, the criminal was hung and nailed to hard wood, in Jesus case he had been scourged, whipped, beaten where breathing was problematic, his body had been through so much trauma he could not carry the cross the whole way. He was hungry, thirsty and by this time in his ordeal his body was in shock. On his head was a crown of thorns that had been forced and imprinted on and through his head. His hands had been bound to a heavy beam and he was under a guard as much to allow him to not escape (the escape ratio was low) as to also stop the baying crowd from killing him before he got there. When he got to the top of the hill his hands and feet were nailed to the wooden structure that he would die on. Eventually he suffocated, alone covered in his own blood and in great pain. The lamb had been slain for the sins of the world. Zechariah 12:10 (ESV) “And I will pour out on the house of David and the inhabitants of Jerusalem a spirit of grace and pleas for mercy, so that, when they look on me, on him whom they have pierced, they shall mourn for him, as one mourns for an only child, and weep bitterly over him, as one weeps over a firstborn. We see in the prior verse the words “In that day…” this sparks interest in my soul, mainly due to have sitting under the teaching of Ryan Ruckman who pastors a church in Porterville who has a great love for messianic prophecy. The words “in that day” are classic prophetic words that refer specifically to the messiah, now it may refer to his first or second coming but it still talks about the messiah. God will pour out to the repentant ones a “spirit of grace and pleas for mercy” they will have saving grace and repentant prayer and god will move among them. When we become a Christian this is the first step. We have to acknowledge we have a sin problem. We will not recognize our need for a messiah if we don’t believe that we need to be saved; also we will not think we need a messiah if we have no idea what we need to be saved from. Have you had your problem solved? Do you recognize your need for a messiah? Do you need to turn back to God with a repentant heart? Then they will mourn for the pierced one. When we understand why the sacrifice was necessary and why he went to the cross in the first place, understand why such high a price had to be paid for us who, let’s face it are not worth it! They will realize what they have done and that they bear responsibility for the crucifixion of their messiah. The inhabitants of Jerusalem, the Jewish people will mourn due to the rejection of the one who came to save. They will mourn like one who was the most loved. Lastly in this verse we read that “they will look upon me” which is yet again another confirmation that the “me” is Jesus, a member of the triune God. This is the Father sending the Spirit so that the people would turn to the Son and be saved. This to me is a beautiful picture of Salvation in Christ Jesus. Thomas is remembered for this in scripture, I am sad for Thomas as in his mind Jerusalem was a melting pot of religious fervor. Rumors would be flying around asking what happened to this Jesus that was crucified, the religious people would be trying to shut people up, and followers of Jesus would be claiming he was alive. I feel for Thomas’ confusion. He seen his LORD, the guy who he had hung on every word arrested, beat to a pulp, marched up a hill and killed in the cruelest way possible. Any rational man would be a little skeptical, I am sure that the disciples would have been praying between the crucifixion and the resurrection. This to me is a lesson in prayer; if we pray for something we had better prepare our hearts in case God grants that prayer and not be super freaked out if he does. What a lot of people miss about this passage of scripture is that the people who are telling Thomas that they have seen Jesus have already seen his hands and feet, he has shown them in verse 20. They seem so much more confident than Thomas but Jesus has already shown his wounds and he has breathed on them, of course they are confident he is alive! He is known universally as “doubting Thomas” but I have empathy for him and would put him no higher than a healthy questioning skeptic. For reasons listed above he had good reasons to have questions until he had some tangible evidence. This guy has seen a guy that he was close to, lived with and learned so much being brutally murdered so he is going to have a few doubts. Also if they were going to profess this Jesus was alive, it could almost certainly lead to their death so I understand why he wanted to be sure. Who wants to die for a lie? Thomas had to wait eight days to get the validation that his hopes were true, Jesus granted him the opportunity to place his finger, touch the wounds and gave him what he required to believe and bear testimony that Jesus did in fact return from the grave and conquered death. Jesus closed by stating “Have you believed because you have seen me? Blessed are those who have not seen and yet have believed.” And that is us, the last recorded historical face to face meeting between a human and Jesus in the bible is in Acts 9 when Saul is converted on the road to Damascus. We are the ones he is referring to, I believe because I have faith and having examined the evidence I have found it to be reliable, inerrant, infallible and true. My prayer is that these articles will help you do likewise. 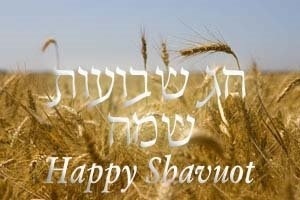 Here is an article to celebrate the Hebrew/Jewish New Year. On this Rosh Hashanah I would like to exhort you in a closer relationship with Jesus, whatever that looks like in your personal relationship with Jesus. To the Non-Christian I urge you to investigate my Messiah Jesus Christ and invite him into a day to day relationship, to the Christian I urge you to have a deeper relationship with him. Rosh Hashanah is traditionally celebrated at the beginning of the Jewish month Nisan, scripture tells us that in the books of Exodus and Numbers in the Law of Moses how to celebrate this festival. The shofar is blown 100 times during Rosh Hashanah. Teki’ah (long sound) Numbers 10:3;Shevarim (3 broken sounds) Numbers 10:5;Teru’ah (9 short sounds) Numbers 10:9;Teki’ah Gedolah (very long sound) Exodus 19:16,19;Shevarim Teru’ah (3 broken sounds followed by 9 short sounds). 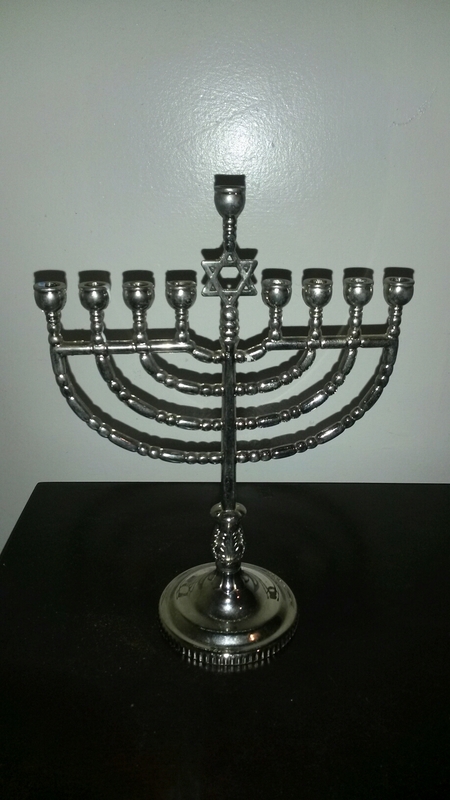 Why do I care about the Jewish New Year as a Christian? I care because Jesus cares! Jesus himself wept over Jerusalem! The Jewish messiah came to save not just the Jews but the Gentiles also. I have a great love for the Jewish people and also for the people of Israel and my desire is that they repent of their sins and follow their true messiah, who is of course Jesus Christ. Many Christians are Pro-Israel and claim they love Israel, they even put their hands in their pockets and financially help Jewish charities. But they stop short of talking about the messiah for fear of offense. I could never hate a Jewish person so much to not tell them about the way to heaven. Being Jewish you will know the prophecies, please check them out and compare it to Jesus’ life. My hope is that this article will be a reminder to start anew with Jesus, regardless of how far you have strayed, our God is a God of grace. Let me say first and foremost that I do not subscribe to the many blogs and sites that are Christian based but bash Christian publications and movies because of reasons such as they do not fit what their finite view of something that is either biblical, spiritual, Christian or Jewish history. If they are discussing movies or motion pictures, most of the things they pick on really do not change the plot of the production or take away the greater meaning of what the director was trying to achieve. 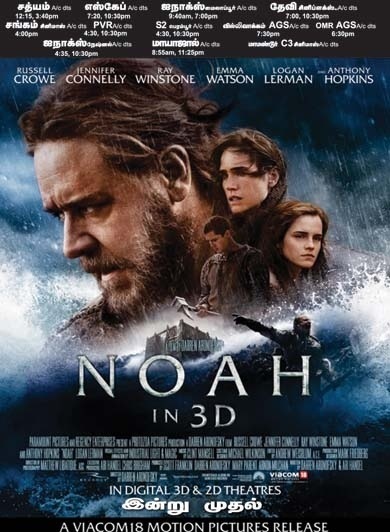 However, that being said I sat down on Wednesday evening to watch Noah; I paid $1.39 at Redbox because although I wanted to see it, me and my family only trek to the movies for movies we really want to see. As stated previously I was free of most of the pre conceived notions that others of my faith had of this movie. I of course have seen headlines of articles that refer to the movie, some praising the movie, others slamming the movie. When i sit down to watch a movie about the bible I ask myself two questions. 1) Did the director stick to the story? 2) How misleading were any plot twists? Obviously both secular and religious movies have had “Hollywood makeovers” and it is not picking on the bible to change the story somewhat to make the movie more “movie friendly” I have seen movies about historical hero’s that have had little twists thrown in, little historical embellishments or even a love interest that is not written in verifiable history. Whilst that does annoy me as a “history buff” I don’t see myself writing 3000 word blog articles about those movies, and why is that? It is because I have never built my life upon a war journal from a dead general or sketchy history of Scottish clan chiefs or whether something actually happened the way it is portrayed on the big screen. Christian history, Jewish history and ones where we have biblical interest do have my interest to “get it right” and “nail the basics” because it has an impact of peoples view of a biblical story. I and anyone who has a decent knowledge of the Bible will spot what is wrong with the movie almost instantaneously. However, someone who is watching this because they are curious about God and really don’t know what is going on theologically, they may have an issue and may put a barrier up based on unbiblical truths that they have seen on the big screen. I plan to answer both 1) Did the director stick to the story? & 2) How misleading were any plot twists? Hand in hand in the next few points. 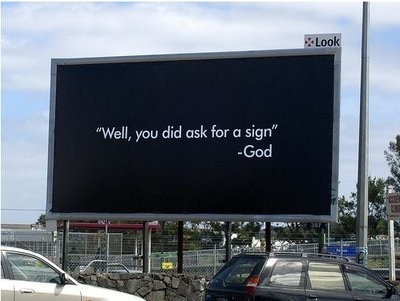 Genesis 1:1 (ESV) In the beginning, God created the heavens and the earth. 2 The earth was without form and void, and darkness was over the face of the deep. And the Spirit of God was hovering over the face of the waters. This lie is portrayed again when they are in the Ark, and Russell Crowe again repeats that “in the beginning there was nothing” and then we see a “creation montage and creation of the earth done in a fast forward motion which incorporates subtle but compelling ideas that creation and evolution go hand in hand, with fish jumping out of the sea, next second they are walking and birds doing likewise. The idea that in the beginning there was nothing introduces the idea of a creator and a big bang working hand in hand and tries to fit science into a somewhat biblical account. Genesis 6:5 (ESV) The LORD saw that the wickedness of man was great in the earth, and that every intention of the thoughts of his heart was only evil continually. 6 And the LORD regretted that he had made man on the earth, and it grieved him to his heart. 7 So the LORD said, “I will blot out man whom I have created from the face of the land, man and animals and creeping things and birds of the heavens, for I am sorry that I have made them.” 8 But Noah found favor in the eyes of the LORD. 9 These are the generations of Noah. Noah was a righteous man, blameless in his generation. Noah walked with God. 10 And Noah had three sons, Shem, Ham, and Japheth. 11 Now the earth was corrupt in God’s sight, and the earth was filled with violence. 12 And God saw the earth, and behold, it was corrupt, for all flesh had corrupted their way on the earth. 13 And God said to Noah, “I have determined to make an end of all flesh, for the earth is filled with violence through them. Behold, I will destroy them with the earth. 14 Make yourself an ark of gopher wood. Make rooms in the ark, and cover it inside and out with pitch. 15 This is how you are to make it: the length of the ark 300 cubits, its breadth 50 cubits, and its height 30 cubits. 16 Make a roof for the ark, and finish it to a cubit above, and set the door of the ark in its side. Make it with lower, second, and third decks. 17 For behold, I will bring a flood of waters upon the earth to destroy all flesh in which is the breath of life under heaven. Everything that is on the earth shall die. 18 But I will establish my covenant with you, and you shall come into the ark, you, your sons, your wife, and your sons’ wives with you. 19 And of every living thing of all flesh, you shall bring two of every sort into the ark to keep them alive with you. They shall be male and female. 20 Of the birds according to their kinds, and of the animals according to their kinds, of every creeping thing of the ground, according to its kind, two of every sort shall come in to you to keep them alive. 21 Also take with you every sort of food that is eaten, and store it up. It shall serve as food for you and for them.” 22 Noah did this; he did all that God commanded him. This leads to confusion as how did the Shemite and Hamite people populate? The only two other females would have been Ham and Shem’s two nieces? This is an important question as from the Shemite people the nation of Israel came into being. In all reality it is not biblical and makes very little sense. When we see the animals converge on the ark, we see many more than is stated in the biblical account. (Remember it only had to be “And of every living thing of all flesh, you shall bring two of every sort into the ark to keep them alive with you. They shall be male and female. 20 Of the birds according to their kinds, and of the animals according to their kinds, of every creeping thing of the ground, according to its kind, two of every sort shall come in to you to keep them alive.” – Two of each kind, two cats, two dogs, two snakes) we have a scene where there are literally hundreds of snakes slithering into the Ark. It just does not make sense, the idea was to get the basic survival of the species onto a boat to allow it to continue post flood. E) Where is the dove? Genesis 8:4 (ESV) and in the seventh month, on the seventeenth day of the month, the ark came to rest on the mountains of Ararat. 5 And the waters continued to abate until the tenth month; in the tenth month, on the first day of the month, the tops of the mountains were seen. 6 At the end of forty days Noah opened the window of the ark that he had made 7 and sent forth a raven. It went to and fro until the waters were dried up from the earth. 8 Then he sent forth a dove from him, to see if the waters had subsided from the face of the ground. 9 But the dove found no place to set her foot, and she returned to him to the ark, for the waters were still on the face of the whole earth. So he put out his hand and took her and brought her into the ark with him. 10 He waited another seven days, and again he sent forth the dove out of the ark. 11 And the dove came back to him in the evening, and behold, in her mouth was a freshly plucked olive leaf. So Noah knew that the waters had subsided from the earth. In the movie the raven is set forth before they hit land, the dove is sent after and we learn that land is ahoy. F) Where is the vineyard? Genesis 9:20 (ESV) Noah began to be a man of the soil, and he planted a vineyard. 21 He drank of the wine and became drunk and lay uncovered in his tent. 22 And Ham, the father of Canaan, saw the nakedness of his father and told his two brothers outside. 23 Then Shem and Japheth took a garment, laid it on both their shoulders, and walked backward and covered the nakedness of their father. Their faces were turned backward, and they did not see their father’s nakedness. 24 When Noah awoke from his wine and knew what his youngest son had done to him, 25 he said, “Cursed be Canaan; a servant of servants shall he be to his brothers.” 26 He also said, “Blessed be the LORD, the God of Shem; and let Canaan be his servant. 27 May God enlarge Japheth, and let him dwell in the tents of Shem, and let Canaan be his servant.” 28 After the flood Noah lived 350 years. 29 All the days of Noah were 950 years, and he died. In the scene where Noah gets drunk, he is in a cave on a beach, it is inferred that he got naked after being drunk, we do not see Ham telling his brothers, but they come and cover him up as we read in the scriptures not wishing to expose his father’s shame. G) Where is the covenant with God? There is no mention of a covenant with God; the closest we get is the passing on of a birthright in the last scene, inferred to be the serpent’s skin of the serpent that tempted Adam and Eve. H) What was the point of the rainbow? I wasn’t too happy with the way that Methuselah was present, as a somewhat pagan, magical old man that could fix Noah’s daughter in law’s barrenness by touching her, it is assumed that he dies in the flood also. And the “Watchers” I am assuming that they were from the “Sons of God” but they state they came down and were punished by the creator, they were Transformer-lookalike stone creatures that limped around a lot and stood between the people and Noah’s family at the beginning of the flood and they exploded one by one and appeared to transcend into heaven, all very weird stuff! Genesis 7:11 (ESV) In the six hundredth year of Noah’s life, in the second month, on the seventeenth day of the month, on that day all the fountains of the great deep burst forth, and the windows of the heavens were opened. 12 And rain fell upon the earth forty days and forty nights. In the scene where the earth becomes flooded, he water comes from above and below the earth; it was a decent visualization of how the earth became underwater very quickly. I was impressed by the visualization, it is up for debate whether it happened that way, but it is conceivable that it could, so that was well done. Dimension wise, the Ark looked about as close as they could have got it, I was impressed by the fact that they did not buy into the myth that the Ark was a small boat and there was not enough room on the Ark. Once Noah is found drunk, the actors who play Shem and Japheth cover Noah up and it was tastefully done, he then banished Ham. The idea of the death and suffering is evident and that was well done, when Noah is sailing off, we can see and hear people clinging to mountain tops and screaming when they are enveloped by the floods. Should you see this movie? That my friend is up to you. I would not promote or slam the movie. You will get as much theological insight by watching this movie as you will any other secular movie. Special effects wise, it is a decent movie. I just wish it did not fly in the face of something that I have built my life upon. I would ask that you read the comments above, check out other reviews if you are still undecided after reading this, I would urge you that if you do watch it, keep your eyes and ears open for any errors. I reached for my bible at least 4/5 times to check things out. These are notes I made before I went to bed so there may be more issues than I remember. I certainly have not studied the film; I watched it once and felt neither closer nor further away from God for doing so. Galatians 1:6 (ESV) I am astonished that you are so quickly deserting him who called you in the grace of Christ and are turning to a different gospel–7 not that there is another one, but there are some who trouble you and want to distort the gospel of Christ. 8 But even if we or an angel from heaven should preach to you a gospel contrary to the one we preached to you, let him be accursed. 9 As we have said before, so now I say again: If anyone is preaching to you a gospel contrary to the one you received, let him be accursed. 10 For am I now seeking the approval of man, or of God? Or am I trying to please man? If I were still trying to please man, I would not be a servant of Christ. When people think of the Galatian church the first thing that people think of is the verse “Oh foolish Galatians” it is easy to think that as this letter to this church is very heavy on teaching and also very loving. Paul exhorts the church; he corrects and gives great instruction that is still applicable some 2000 years later. The reason this is so prevalent today is that Paul marvels/is astonished (depends on the version of the Bible you read) that the Galatians have fallen into theology that is not correct. This is not a minor theological contention such as whether we sprinkle or fully immerse in baptism, whether we have one cup or many cups at communion or whether we wear suits or come as you are to church. They are turning away from the basic beliefs and tenets on the Christian faith, the building blocks of what makes them Christian. They were embracing heresy based on confusion. Like so many of todays cults, they were trying to do “Jesus plus” what I mean was that Jesus was not enough, they had to do Jesus plus the law, Jesus plus something else, like the blood on the cross was not enough to atone for the sins of the world. Don’t get me wrong, as a guy who is very point by point, line by line, precept upon precept in my Bible studies, I find it beneficial to have certain works listed as good to do, but they should not be kept in the same line or same vein as what is required to be saved. Many of the things that we contend with each other these days are not Salvation issues, many are not even heretical, many are based on theological stances that attempt to help, but sometimes cause frustration. Traditionally, (and my wife Chelsea would be the first to confirm this) I have been “works orientated” where I try to “tick the boxes” and try to (in Gods will and his power) live in a way that would befitting the title Christian. This is good, if you are a flaky person and need structure in your life then this is a good way to get some structure and have some way to grow as a Christian. You have to be careful though, we have a tendency as humans to elevate the structure that we have as high as the reason we are doing this in the first place. Please do not allow the ritual to become the main thing and also by the same token do not worship the ritual, this leads to resentment of your mind on when you think of all the other stuff you could be doing with your time and then it leads to you dragging your feet and “going through the motions” with minimum effort. God knows this, God knows your heart, he knows who has their heart in it and who does not. If I don’t feel like it should I not worship God? In the words of the Apostle Paul, God forbid. I read a really cool graphic on Facebook yesterday that read “There are two times to worship God, 1) When you feel like it 2) When you don’t. I think this is an awesome reminder that worshipping God should be as natural as eating or drinking water, we were created to do so and if we allow our emotions to drive how we feel about God, it stands to reason that when things go badly, we will not be in a mood to worship God. Paradoxically, when some people are in their deepest hole and when they have exhausted all other alternatives, that is when they find God. Those of whom are literally at the bottom of their “pit of despair”. What if the hosts of heaven appear to me? Paul states quite clearly, “if he or even an angel preaches any other gospel” and the instructions to go with that. This even happens today; I am sure you will remember about 6 years ago we had a guy called Todd Bentley who had his “Lakeland revival” in Florida. Part of this guy’s testimony was he was visited by an Angel called “Emma” who gave “new revelation” and advised that he was to do a spiritual outpouring and declare revival in the Florida area and beyond. I am all for revival, however this testimony sounds like it is in contradiction to what is stated in Galatians. It is similar to the testimony by the founder of the LDS (Mormon) Church called Joseph Smith Junior, he was visited by an angel called “Moroni” and given golden tablets (that disappeared as soon as he translated them) in an ancient and forgotten language that he was given supernatural powers to translate into what is now called the “Book of Mormon”. We are told that if they give a gospel contrary to the one of Jesus Christ, what Paul calls “no gospel at all” he will be “eternally condemned” If you want a picture of what that looks like, have a quick read of Revelation 20:7-10, doesn’t look like fun huh? Paul finishes by stating that what he states will not be popular among men and that if he had desired to be popular with men he would have stayed as Saul, the Jewish zealot who was a career persecutor and very popular hatchet man of the Jewish faith. Instead he had a zealous heart for what God wanted in his life, so when he was face to face with Christ (not angels as you notice) he followed what God wanted with scant regard for his own life! LORD MAKE ME LIKE THAT PLEASE! Torah, engaging in all-night Torah study. I identify with the reading of the book of Ruth and the study of the scriptures, (who couldn’t do with some quality time in the word of God?) not being Jewish myself my understanding of the festival is based on what I have read up on about this date in the calendar. If we have any readers who have experienced the festival then please fill in any blanks I have missed. Talk about choosing the less trodden path, she aligns herself with Naomi who couldn’t offer her a husband to give an heir to carry on the family name and she chose Naomi, her place she was headed (Bethlehem) and her religion, serving the one true God. She was a proselyte to the Jewish faith. This is a vital story in the history of the children of Israel as Boaz was King David’s great grandfather and vital to Christians as through the line of David we got our redeemer Jesus of Nazareth. (Matthew 1, Luke 1) I love this redemption story and I remember where I was without my redeemer. There is one way to heaven, by committing your life to Jesus Christ.